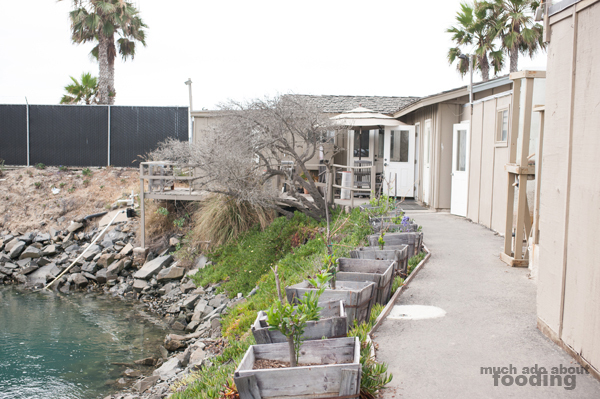 This post is Part IV of a four-part series of articles about our visit to Carlsbad Aquafarm. We would like to thank Rebecca Richards & Link Mathewson for making this trip possible and Norman Abell for educating us on their methods of shellfish farming. We were curious to learn more about how their Luna oysters are sustainable after tasting some at Slapfish. What we uncovered was a complex and precise process dedicated to producing the best product possible. If you missed Parts I, II, and/or III, you can find the first here, the second here, and the third here. 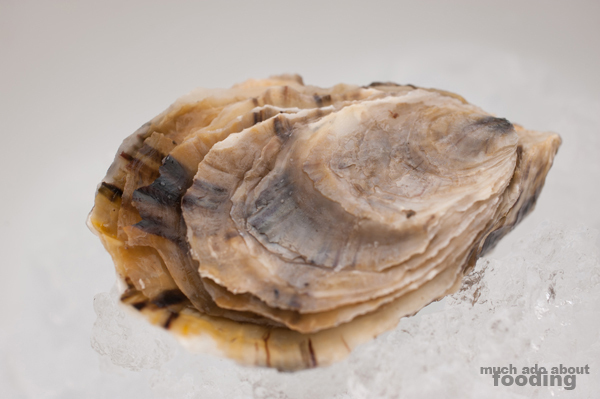 "We're not the biggest farm and certainly not the largest oyster and mussel one. We're a little more diversified, growing things that make sense but with the same staff, the same place, the same equipment. We try to do different things. We're probably closer to a model of a farm that might come from an earlier time where they were doing a lot of different products in one space as opposed to one large single crop." As Norman built upon the farm's philosophy, he told us that a lot of what they do that isn't repeated by others is based on geography. Tanks in Washington and Oregon would be frozen in the winter whereas these farm's tanks can be used year-round. In regards to carbon footprint, he was not a big supporter of the idea of restaurants sourcing their produce from a large number of farms no matter how local; realistically, is that still a small carbon footprint considering all of the driving? It's an argument that many in the food industry face, the "local" argument. 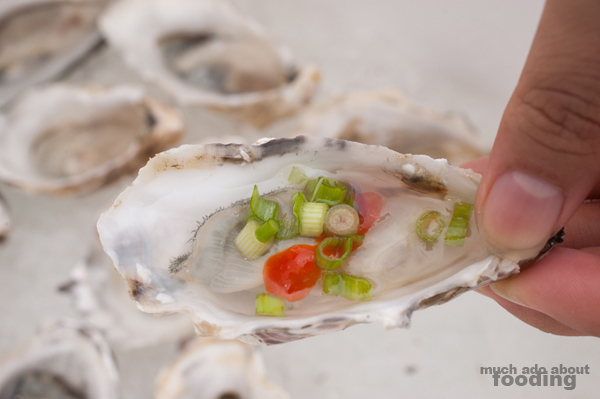 He referenced Chef Rick Bayless from Chicago with whom he had talked about a most salient point - "How in the world am I going to have local oysters? What are we going to do about that? How are you in California going to have local wheat? Maybe it'll be from Central Valley but certainly it's not going to be grown anywhere in Los Angeles or Orange County." We were inclined to agree a little too but did find comfort in hearing that this debate is constantly on the mind of food suppliers as well. So what can we really do? Norman advised us to start eating lower on the trophic level instead of eating only tuna or salmon. 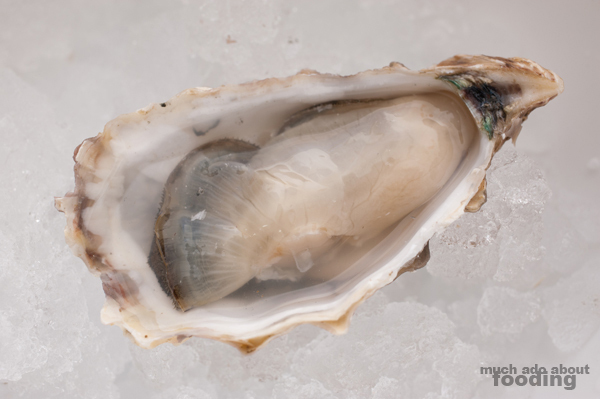 Mussel and oyster use a lot more efficient methods to make an ounce of protein than a salmon would. This is where he calls out to the chefs to teach their customers about better foods and ways to fix food culture today. "They're the ambassadors for anything that's new. They're also the R&D for what's coming and what we should be thinking of." It was no surprise at that point that our conversation even drifted over to the slow food movement but that's another story for another day. In addition to the marine products, they’re also trying their hand at lemon and lime farming for tastings. These young trees lined the walkway as we took a peek into the nursery where they grow the algae and micro-algae. 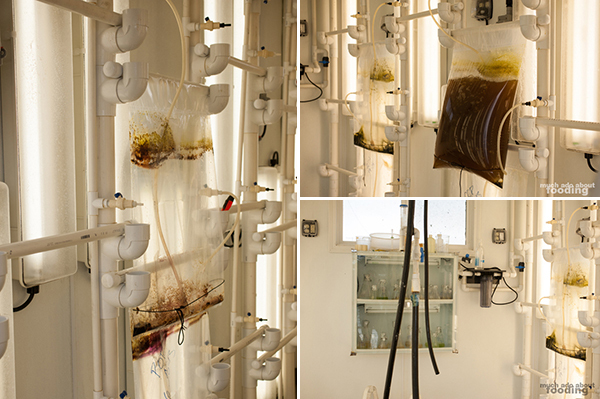 An empty culture room stared back at us as we peered in the window - it allows for culturing of many different micro-algae as shellfish food, or as Norman puts it, "Gerber baby food." 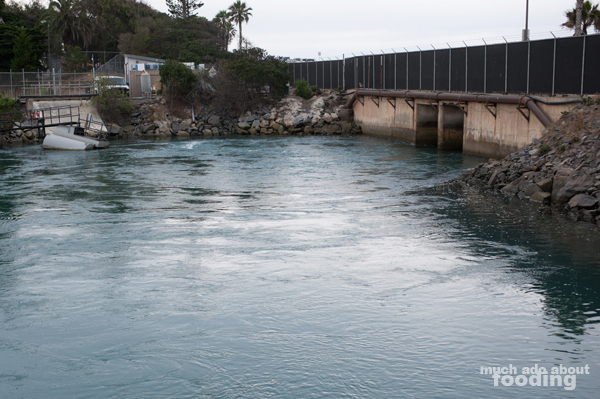 Below the nursery grounds was a circulation pond for the power plant which happened to also contain plenty of fish and oysters, some of which are probably ten years old. "What are some of the biggest challenges that you find here? 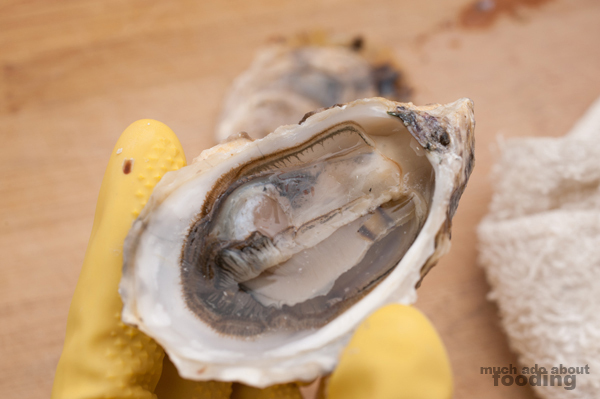 ""I think right now, especially for oyster, it’s seed availability. 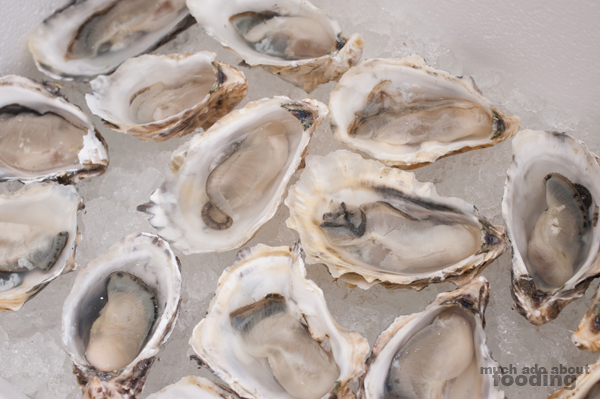 Changes in the ocean’s pH level, due to ocean acidification caused by the overabundance of carbon dioxide trapped in our atmosphere, is preventing newborn oysters from producing their first protective shells and hence, they’re dying at alarming rates. What that means for us is when we place an order with the hatcheries, it won't necessarily be filled 100%. Like last year, we only got a quarter of the seed we ordered. So it really affects the availability right down to how many oysters we have to sell to how many jobs we have available." We walked away with much more information than we thought we'd learn. The oysters were hard work to farm despite their original historic debut as a food source cheap enough to be eaten regularly by the working class. 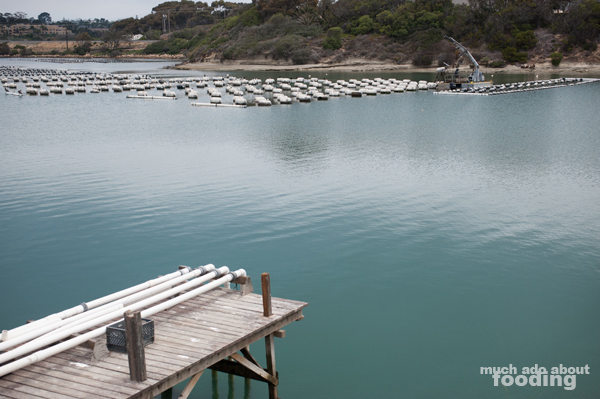 The existence of this farm, of all shellfish aquafarms, is just one of the many effects of overharvesting which has also increased prices. So we were pleasantly surprised to be able to take some home with us! After all, oysters are not only excellent sources of zinc, iron, calcium, selenium, Vitamin A, and Vitamin B12 but also delicious. We researched a little bit about our first exposure to shucking our own oysters (rather ill-equipped though, I must say) and learned more about oyster handling and safety such as not storing oysters in water during refrigeration lest they die, how tightly closed the shells of live oysters should be, and how to check for whether or not an oyster is alive and safe to eat. The lack of an oyster knife led to a battle between butter knife and oyster shells but eventually, all was tastily had. These Lunas were definitely sweet, delicate, and somewhat fruity in aftertaste though certainly briny to start. There was so much liquid/liquor inside each as well. Given their taste, I am now even more curious about the beer that had been made by Ballast Point Specialty Brewer Colby Chandler and friends with Lunas as an ingredient. This post is the final post of four. Part I can be found here, Part II here, and Part III here. 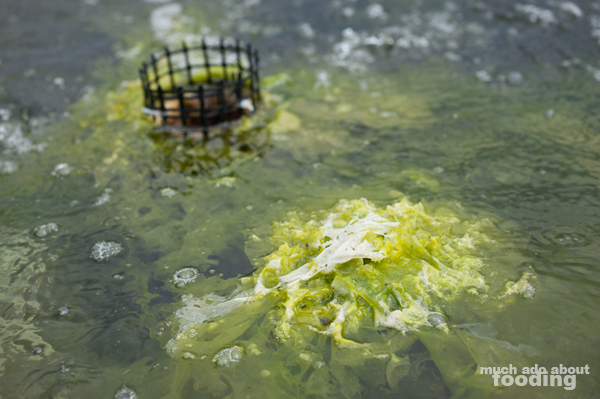 You can also visit www.carlsbadaquafarm.com! They are located at 4600 Carlsbad Boulevard, Carlsbad, CA 92018 but are unfortunately closed to the public. What's that mean for you, the shellfish-loving fiend? Catch them at one of the farmers' markets or take a step into one of the many restaurants they source to, like Slapfish! What a wonderful and informative post! I'll have to read the other 3.